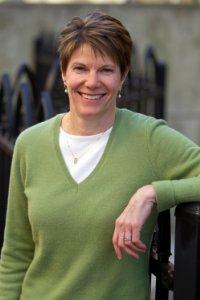 New book from Human Kinetics explains the significant impact of hormones on female physiology. The phase of the menstrual cycle significantly affects a female runner's hormonal environment and therefore her physiology. 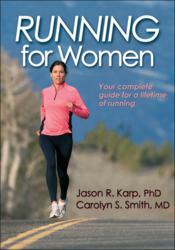 In the book "Running for Women" (Human Kinetics, 2012), Karp and coauthor Carolyn Smith, MD, explain how various aspects of physiology are affected by the phase of the menstrual cycle, including oxygen consumption, body temperature, and metabolism. “Progesterone stimulates ventilation independent of the intensity of the run, which can increase the perception of effort since runners typically link their perception of effort to how much they’re breathing,” Karp explains. “Breathing is greater during the luteal phase, when progesterone concentration is highest, making women feel more winded during luteal-phase workouts compared to follicular-phase workouts.” The increased breathing during the luteal phase may also increase the oxygen demand of breathing since the muscles responsible for breathing need oxygen to work just like leg muscles do. More oxygen being used by breathing muscles means less oxygen is available for the leg muscles to aid with running. Body temperature changes rhythmically throughout the menstrual cycle, peaking during the luteal phase in response to the surge in progesterone. “A higher body temperature during the luteal phase makes it harder to run in the heat, because you don’t begin sweating to dissipate heat until you have reached a higher body temperature,” Karp says. “Women also have a decreased ability to dilate the small blood vessels under the skin, which compromises their ability to release heat to the environment.” Thus, long, intense workouts and races in the heat, such as half marathons and marathons, can be more difficult during the luteal phase of the cycle. “Menstrual phase variations in running performance may largely be a consequence of changes to exercise metabolism stimulated by the fluctuations in estrogen and progesterone concentrations,” Karp says. “The magnitude of increase in these hormones between menstrual phases and the ratio of estrogen to progesterone concentration appear to be important factors determining an effect on metabolism.” Research suggests that estrogen may improve endurance performance by altering carbohydrate, fat, and protein metabolism, and progesterone often acts antagonistically to estrogen. Estrogen promotes both the availability of glucose and uptake of glucose into slow-twitch muscle fibers, providing the fuel during short-duration exercise. According to Karp, a woman’s responsiveness to strength training can also be influenced by the menstrual cycle. “One study found that weight training every second day during the follicular phase and once per week during the luteal phase of the menstrual cycle increased maximal quadriceps strength by 32.6 percent compared to just 13.1 percent by training once every third day over the whole menstrual cycle,” Karp says. "Running for Women" presents guidelines for tailoring training to the menstrual cycle for maximum response and adaptation as well as determining the best times to perform the various types of training. The book also contains recommendations for modifying workouts and training programs for all stages of the life span, including pregnancy, menopause, and post-menopause. For more information on Running for Women or other running resources, visit http://www.HumanKinetics.com or call 800-747-4457.